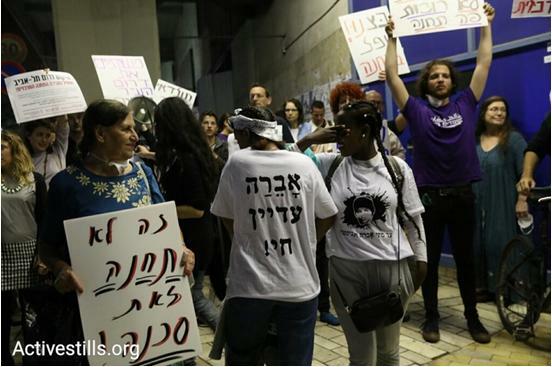 Organizations involved in the struggle to stop the deportation of African refugees and asylum seekers in Israel celebrated on Tuesday, April 24, after the government announced that its plan to do so will not be carried out. Far-right Prime Minister Benjamin Netanyahu was forced to renege on plans to deport tens of thousands of Africans living in Israel after he failed to find any third country that would be willing to take them in. “Forced deportation should never have been an option, and we are relieved to see that other countries were not willing to participate in Israel’s plans to forcibly deport asylum seekers,” said a joint statement from the Hotline for Refugees and Migrants, ASSAF – Aid Organization for Refugees and Asylum Seekers in Israel, Physicians for Human Rights Israel, Kav LaOved, the Association for Civil Rights in Israel (ACRI) and the African Refugee Development Center (ARDC). “It is a great shame that it took court intervention, and the lack of participation from other countries, in order for Israel to abandon these plans… the aggressive deportation policies they have pursued to date have not only been unsuccessful, but also a moral failure,” The joint statement said. However, the optimism generated by the cancellation of the deportations was tempered by the announcement that the government is likely to reopen detention centers, including Holot in the Negev, in an effort to imprison asylums seekers until they agree to leave Israel voluntarily.